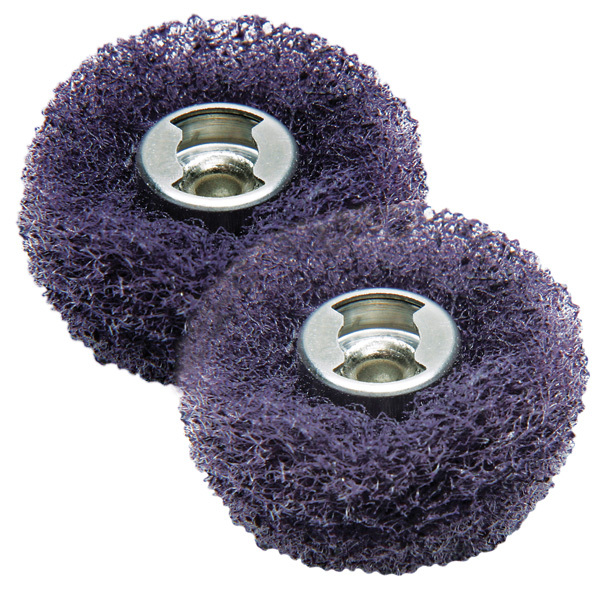 Fiber wheels with embedded abrasive adds fine finishes to metal parts. Wheels are 1 inch diameter x 1/2 inch wide. Fits Dremel EZ Lock mandrel (our #85986, sold separately). Package of 2 fine (320 grit) wheels.